The intense impact of an aviation accident often leads to extremely serious physical injuries. 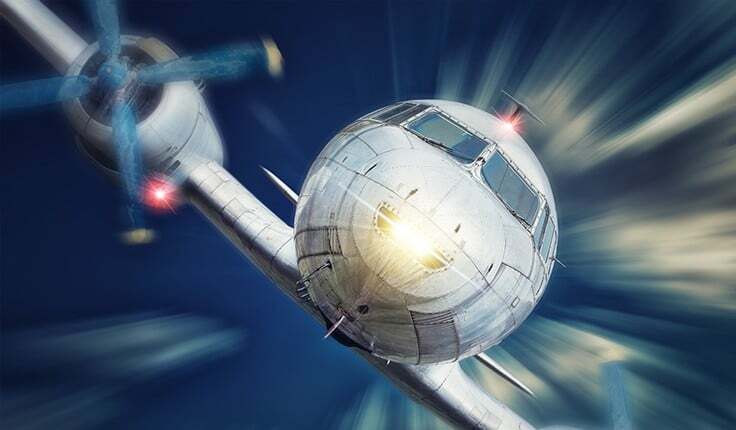 With complicated legal issues and evidentiary challenges, few attorneys have the experience and knowledge to competently handle aviation disaster cases. The lawyers of Harris Lowry Manton LLP have extensive experience in this very specific and detailed area of law. We work with victims of aviation accidents to seek compensation from all responsible parties. If you or a family member was injured in an aviation accident, our experienced Atlanta aviation injury lawyers are prepared to guide you through the legal process to get you the justice you deserve. Commercial aviation accidents. These incidents occur when a commercial airline plane crashes. The tragic accidents often involve numerous victims and several responsible parties. Small plane accidents. These accidents often involve privately owned airplanes piloted by the owner or provided to a pilot for a particular flight. Though these flights involve fewer passengers, the level of injury and damage can still prove devastating. Corporate jet accidents. Many large corporations maintain private jets to facilitate more convenient business travels. When accidents occur, it can prove challenging to identify all responsible parties. Helicopter accidents. Helicopters are utilized in a variety of industries, including extensive use among oil and gas companies. Crashes are particularly dangerous, often leading to serious bodily injuries or death for the passengers and bystanders in the area of the accident. We understand the complexities of these cases and diligently advocate to help you secure compensation from all responsible parties. Immediately after a plane crash, lawyers and representatives from the National Transportation Safety Board (NTSB) arrive at the scene. The company responsible for manufacturing the plane also sends a team to evaluate the damage. The NTSB writes a comprehensive report on the crash, and then makes all such reports freely available to the public at the NTSB website. After speaking with the victims of a plane crash, we immediately begin the work of seeking compensation from the responsible parties. We contact NTSB officials, carefully review the NTSB report, and launch our own extensive investigation. Having dealt with many plane crashes in the past, the accomplished Savannah aviation accident attorneys of HLM have a wide database of documents and records we use to build a case. While they are not extremely common, aviation accidents can be devastating. Victims and their families need legal representation from attorneys they can trust to get the results they need. The Atlanta aviation law attorneys of HLM have successfully pursued more than $750 million in verdicts and settlements. Put our experience to work in your aviation accident case. Call our Atlanta office at 404-998-8847 or our Savannah office at 912-417-3774, or complete our contact form to schedule a free consultation.